Cities and Towns form an important geographic unit for which information is always needed. Their geographies are legally established and should be used without any ambiguity. 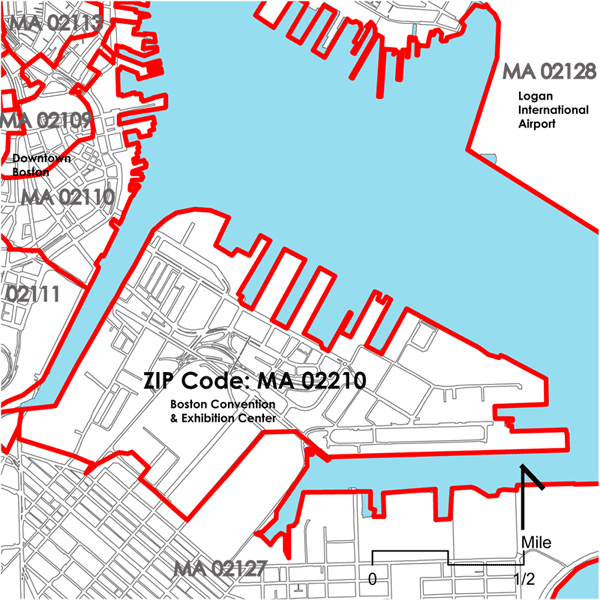 Some of the geographic boundaries such as the Zip Code 02210 in South Boston, are 'predefined' by US Postal Service and adopted by other governmental, business or other entities. 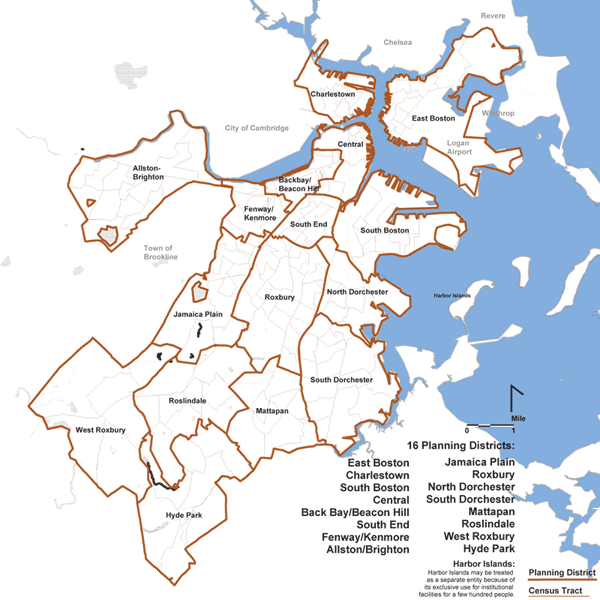 Similar predefined geographies are, for example, Congressional Districts, Towns & Cities, Electoral Districts, Zoning Districts, Conservation Areas, and Census Tracts.